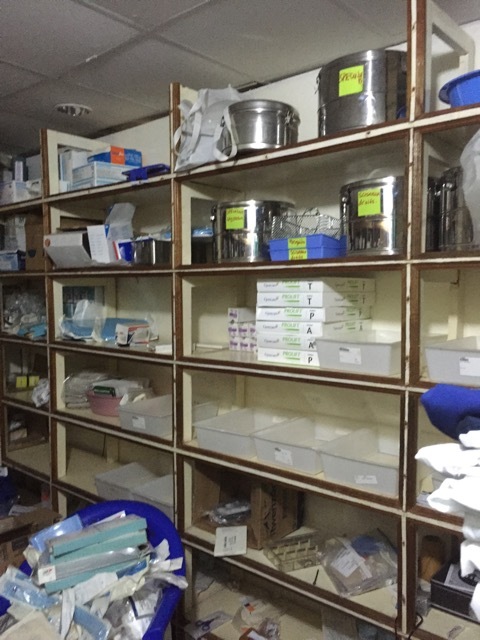 This week saw Paul and Shannon Bakes set to work on further IT infrastructure installation at HEAL Africa Hospital (HAH) together with testing of an intranet-based phone network scheduled for installation next week. 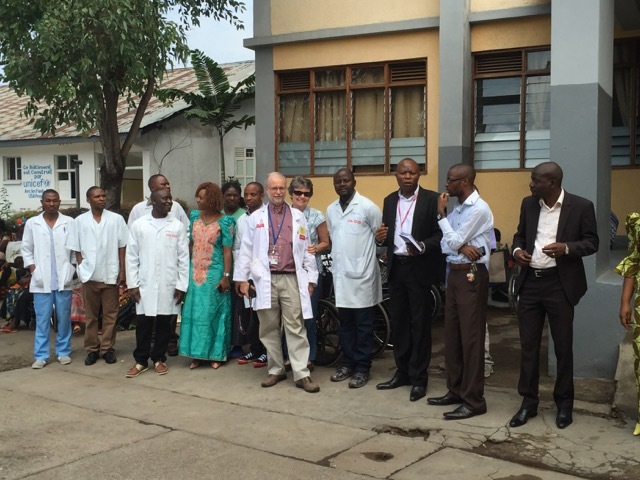 It is pleasing that Paul’s arrival in his role as the AusHEAL IT Consultant has coincided with the long awaited installation of the new hospital software program at HEAL Africa Hospital. 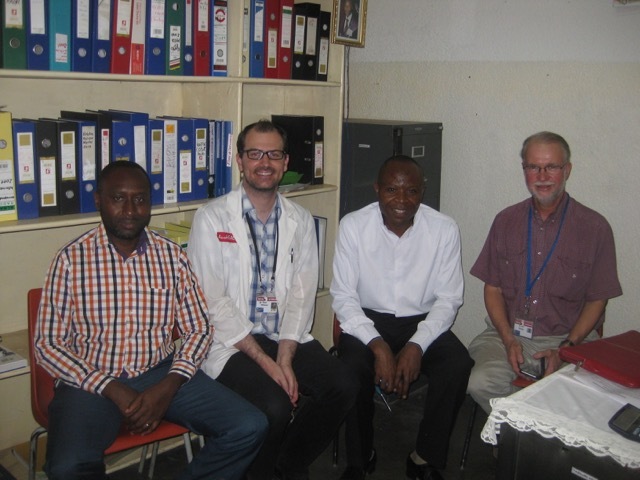 A Congolese software consultant has also arrived from Kinshasa, the capital of D.R.Congo, allowing Paul to ensure the network he is building will sustain the software across the hospital. The system goes ‘live’ next Monday! Dr Ryan Williams has conducted further training for junior doctors and medical students, greatly appreciated by both those attending and senior HAH staff. On Friday this week, Ryan discussed his concerns regarding medical education in D.R.Congo with senior staff representatives at an ‘Exit Meeting’, which AusHEAL tries to hold with all teams and HAH senior staff prior to a team’s departure. Ryan hopes to have the HEAL Africa Hospital medical protocols, aimed at standardising medical care and requested by HAH senior staff, completed before he leaves next Wednesday. This will be a major achievement for HEAL Africa and for Ryan. His role has been to collate and co-ordinate staff requests into the protocols. Senior staff are so busy with their clinical loads that putting time into this process was adding another load. Ryan’s extra time and ability to communicate in French have allowed the protocols to be finalised. 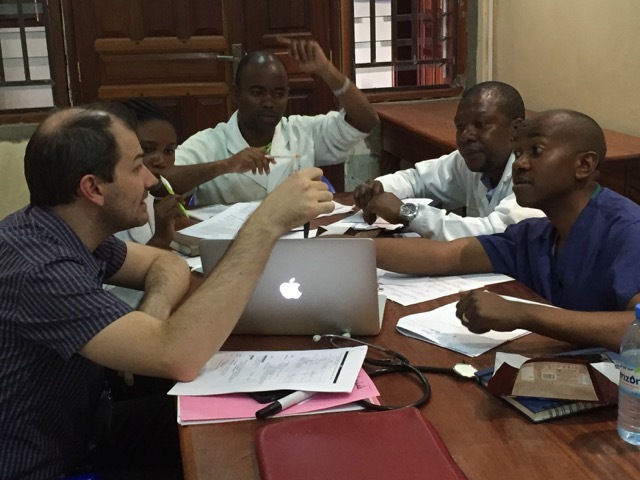 Dr Neil Wetzig has continued to operate 3 days per week with the HEAL Africa Hospital surgeons. 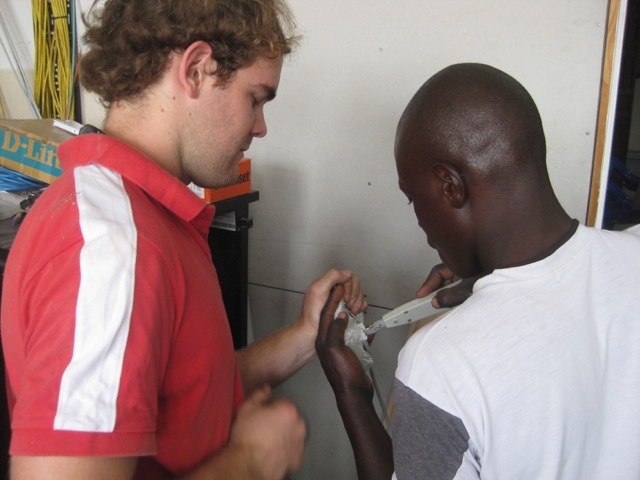 He has had a number of good opportunities for teaching new skills as well as assisting. One particular case resulted in the first use of a vacuum-dressing in a woman who had an ‘open abdomen’ after being referred to HEAL Africa Hospital from a peripheral village. She suffered from complications of a Caesarean section and 3 subsequent operations. The vacuum-dressing, common in the developed world, requires constant suction to create a vacuum and keep the abdomen closed. 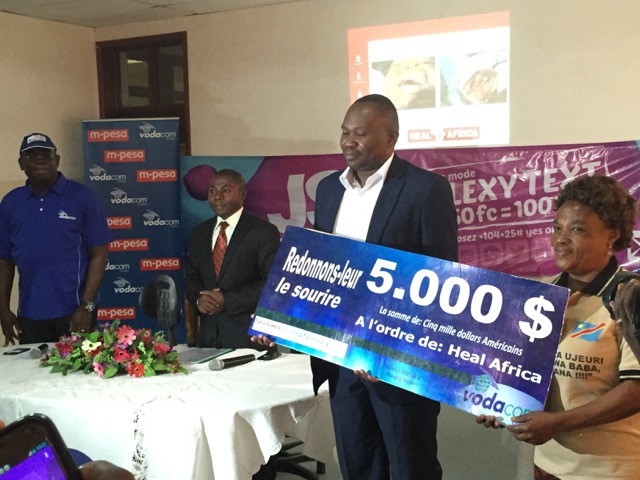 On Friday HEAL Africa Hospital hosted the North Kivu Provincial Health Minister and the CEO of Vodacom Congo as they presented a cheque for $5,000 US to the hospital to support an outreach program for infants with cleft lip and palate. It was interesting for AusHEAL to be represented at the event by Neil and Gwen Wetzig and it is hoped that Vodacom may support the hospital in more substantial ways in the future. 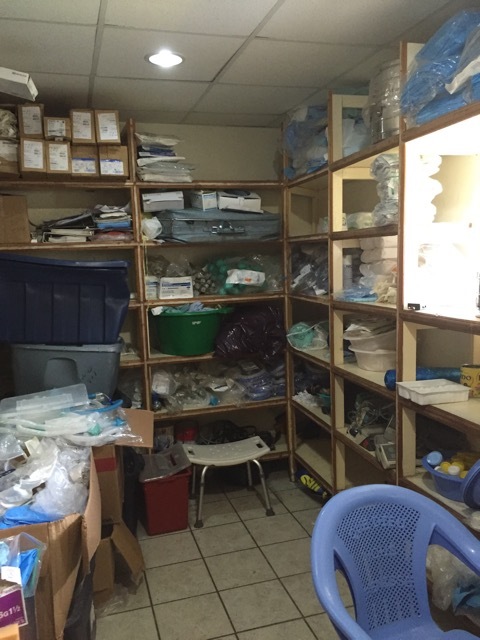 Perhaps a highlight of the week has been the sorting and re-organising of the operating theatres at HEAL Africa Hospital. Jill Cranswick who was part of the AusHEAL Nursing team laid the groundwork for this when she met Drs Jo (HAH Founder) and Justin (HAH CEO) during their visit to Brisbane in May this year. She continued to make suggestions during her time in Goma with Team 2. Her input, together with the AusHEAL workshop “Etre Organise’’ (Being Organised) has contributed to structural changes occurring in the operating theatre. 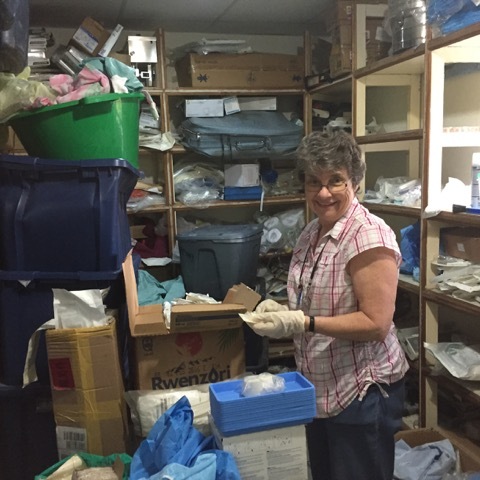 Yesterday and today a great deal of activity occurred to sort and store consumables and equipment. Neil and Gwen were delayed in assisting HAH staff on the first day due to involvement in the Vodacom event. How pleasing it was on their arrival to see the HAH theatre staff had not only begun work independently but doing such a good job. The next day Saturday, Neil, Gwen & HAH staff continued the reorganisation for most of the day. Although not yet complete, major ‘in-roads’ have been made to the organisational set-up, all aimed at improving theatre and equipment efficiency. All in all a busy and hot week. Remaining AusHEAL team members have been able to enjoy the company of two Tear Fund workers staying at the Maji Matulivu team residence. The visitors have also been involved in training, one in Gender Justice and the other in Water Management – so meal time discussions have been quite stimulating. Invaluable opportunities to discuss matters of creating sustainable change and building capacity.